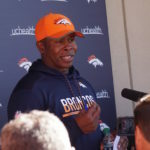 Broncos head coach Vance Joseph summarizes Day 4 of training camp. 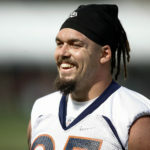 Broncos defensive lineman Derek Wolfe praised the offensive line’s early turnaround after the second day of training camp. 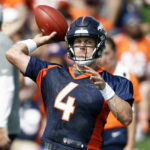 Broncos head coach Vance Joseph praises his new quarterback in his Day 2 briefing at training camp. 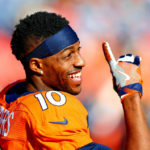 Broncos wide receiver Emmanuel Sanders changed his diet, hoping to avoid another injury-plagued season. 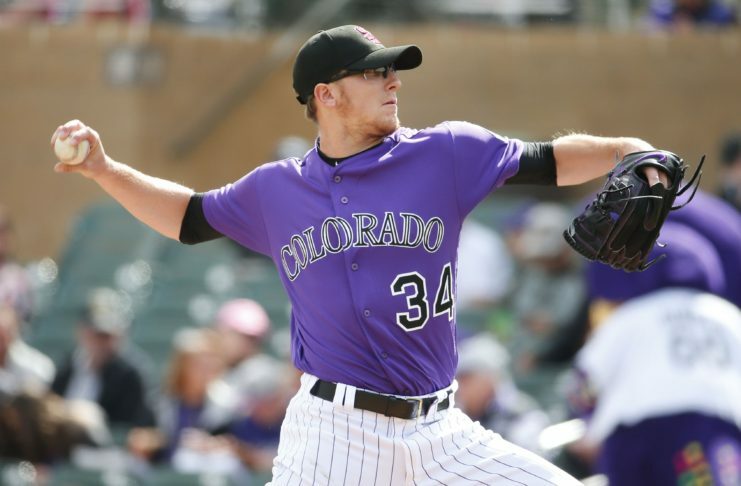 Martin Truex Jr. steps on the gas, off the track, to throw first pitch heater at Rockies game. 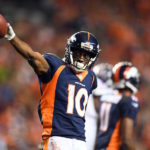 Broncos wide receiver Emmanuel Sanders is getting excited about the upcoming season. 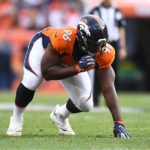 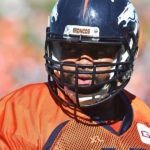 As a "guest coach" for the Broncos, DeMarcus Ware will find a kindred spirit -- and a willing student -- in Shelby Harris. 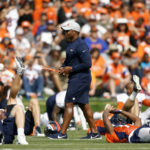 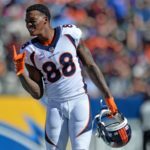 Demaryius Thomas discussed the progression of rookie wide receivers and his physical health with the media as the Denver Broncos enter the second week of OTAs.